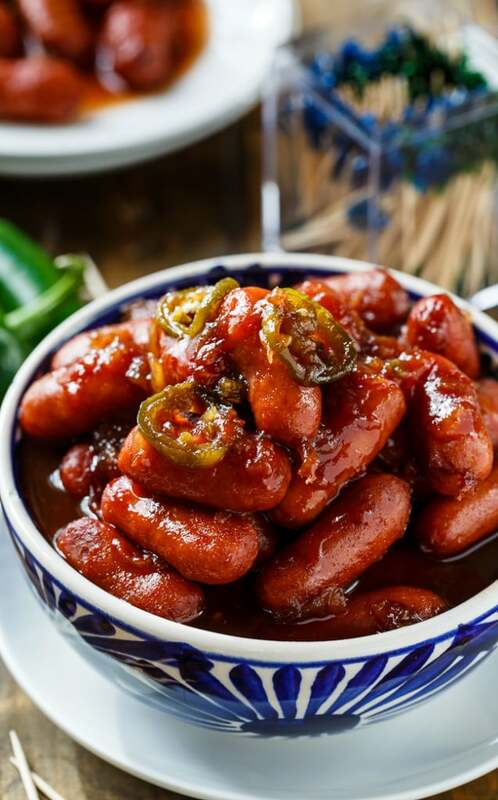 Crock Pot Little Smokies are cooked in a sweet, tangy, and spicy sauce and are great for potlucks as well as holiday parties. Go to any holiday party around here and you’re likely to see a crock pot full of Little Smokies or Meatballs. They are super easy to make. The crock pot does all the work, only a few ingredients are needed, they’re economical, and feed a hungry crowd. There’s nothing not to like about them. 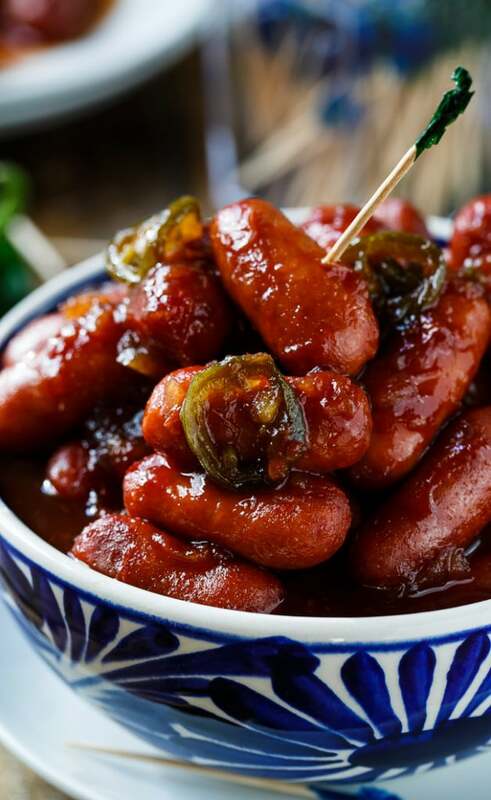 Crock Pot Little Smokies are super fun to eat too since you get to stab them with a toothpick. 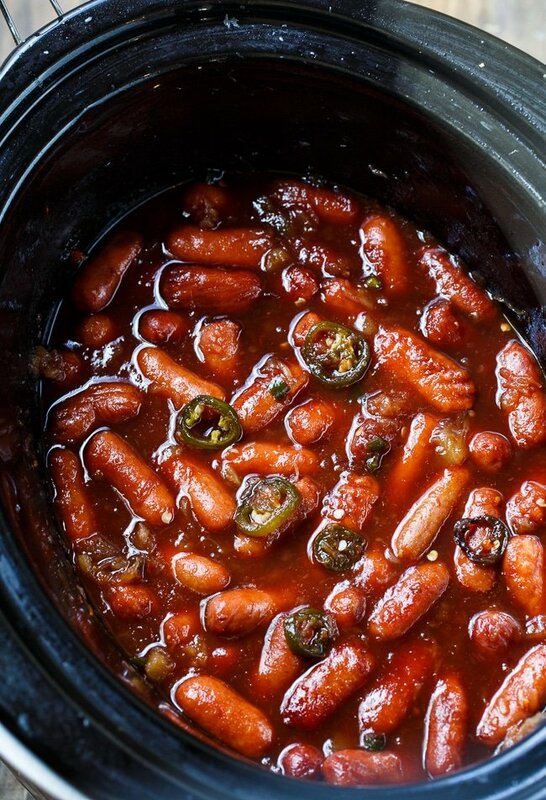 The sauce is sweet and tangy and perfectly compliments the smokiness of the cocktail weiners. I use a jar of chili sauce, a jar of grape jelly, a can of crushed pineapple, and a few chopped jalapenos to give it a little heat. If you’re pressed for time, as everyone is during the holidays, Crock Pot Little Smokies are the perfect solution. It only takes a few minutes to dump the ingredients in the crock pot and then a few hours later you have a hot and delicious appetizer. Note: The cocktail weiners are already cooked so the cooking time is very flexible. I would give it at least a good 2 hours for the flavors to meld though. 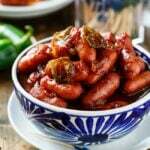 Cocktail wieners slow cooked in a sweet and tangy sauce with a few jalapenos. 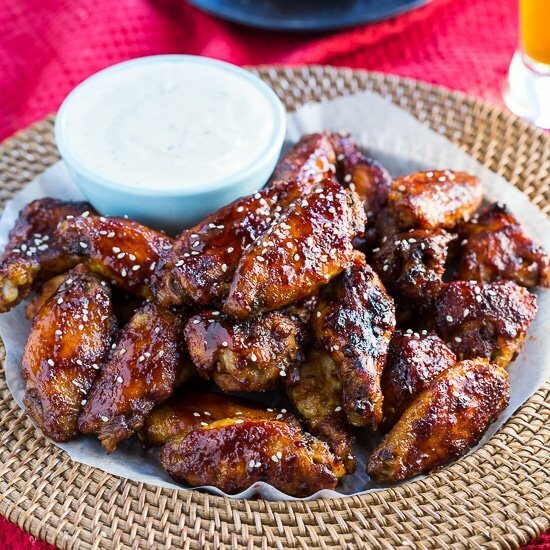 Makes an awesome party food! Lightly spray a crock pot with cooking spray or use a crock pot liner. 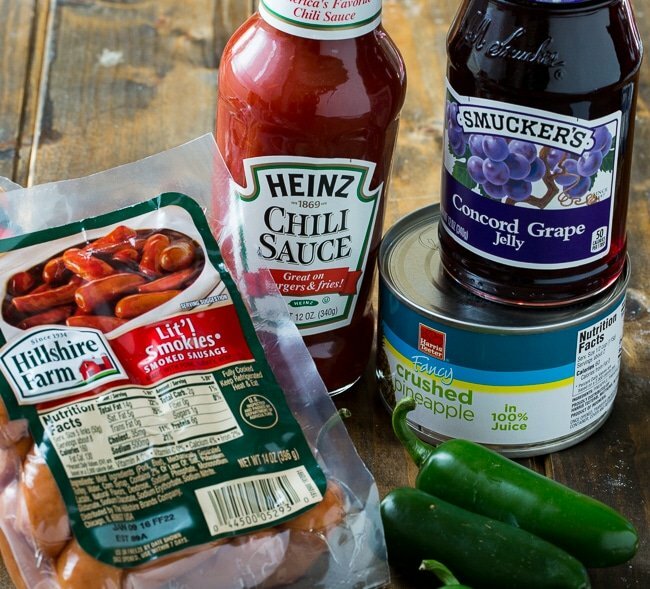 Add all ingredients to crock pot and stir to combine. Cover and cook on HIGH for 2 1/2 to 3 hours. This entry was posted in Appetizers, Slow Cooker and tagged crock pot. Bookmark the permalink.